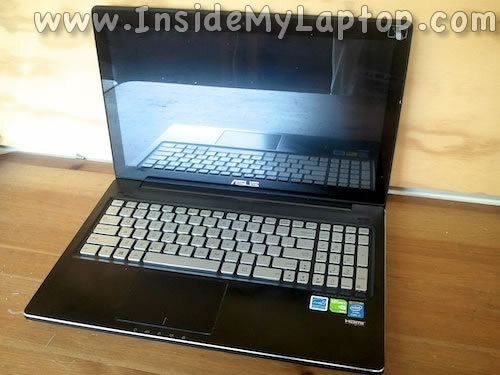 Today I will be taking apart an Asus Q550LF-BBI7T07. 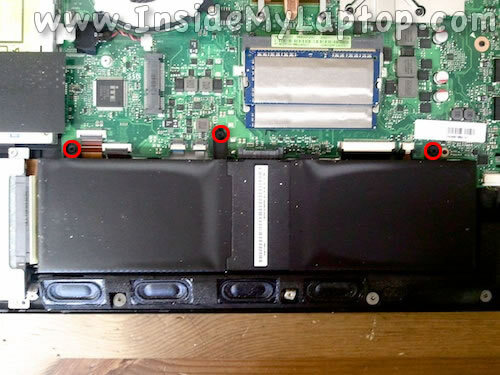 I will show how to remove the bottom cover and access most internal components. 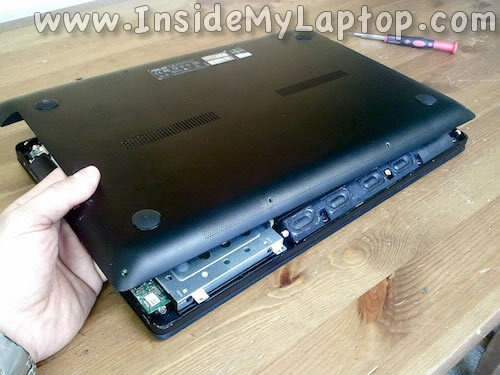 I am taking it apart in order to replace failed hard drive. 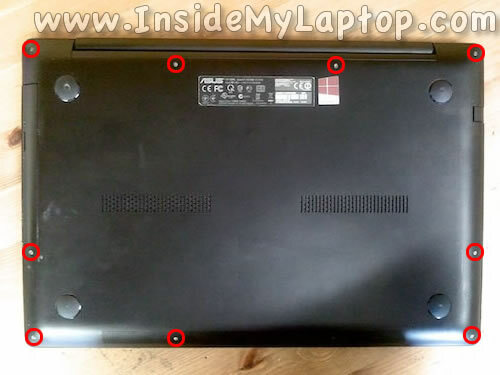 Remove screws securing the bottom cover. NOTE: I forgot to mark one screw located on the bottom. 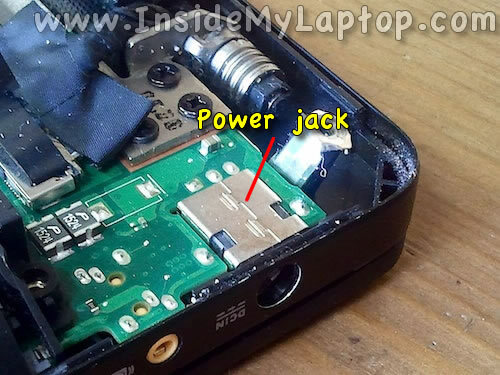 Before removing internal components you should disconnect the battery. 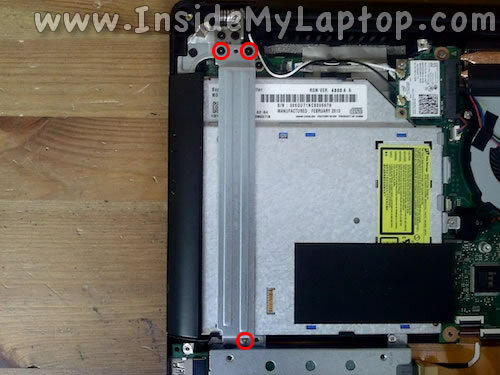 Remove three screws securing the metal bracket located over the optical drive. 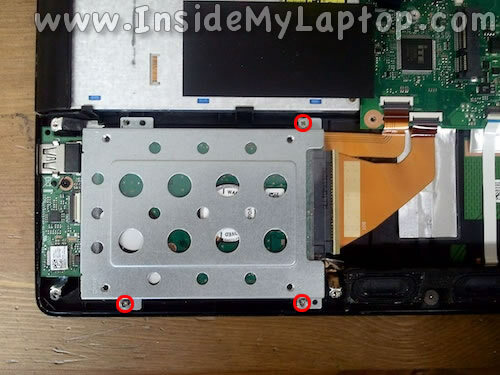 Remove three screws securing the hard drive caddy to the case. Carefully lift up the hard drive assembly from the case. Remove screw securing the drive to the caddy and separate them. You can replace the failed hard drive with any other SATA drive or SSD. 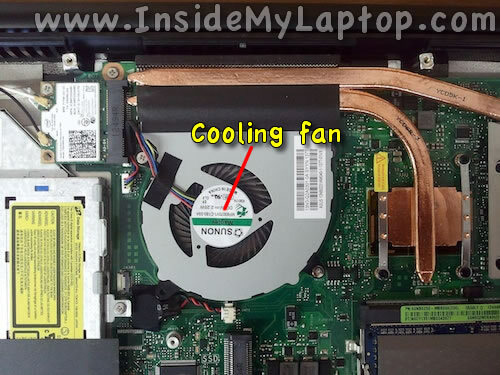 The cooling fan can be easily access when the bottom cover removed. 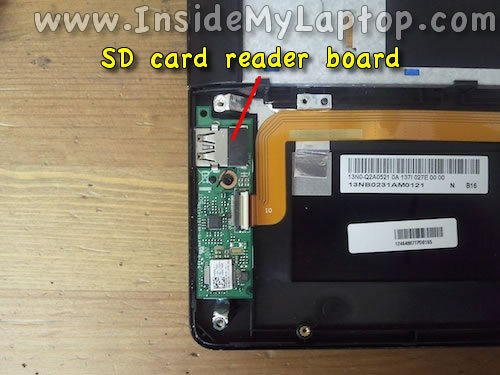 The SD card reader located on a separate board. 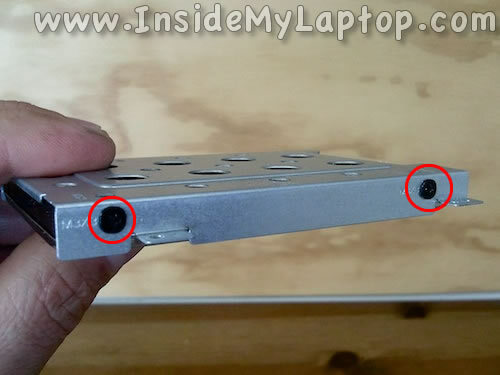 The optical drive secured by one screw. When you remove the screw you can pull the drive out and remove it. The power button located on a separate board. 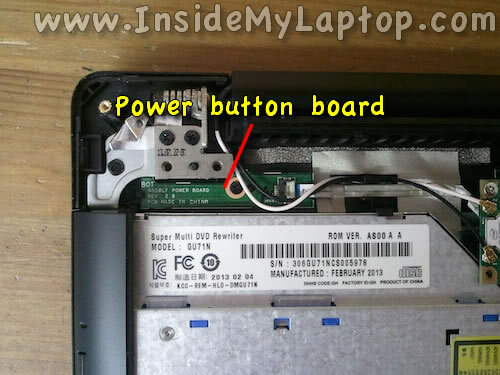 If the power button failed, you can easily disconnect the board and replace it with a new one. 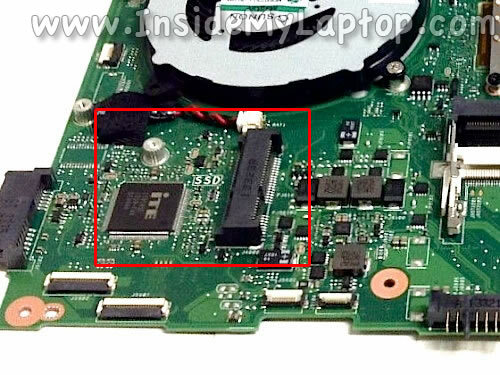 Unfortunately, the DC jack in Asus Q550LF-BBI7T07 laptop soldered to the motherboard. 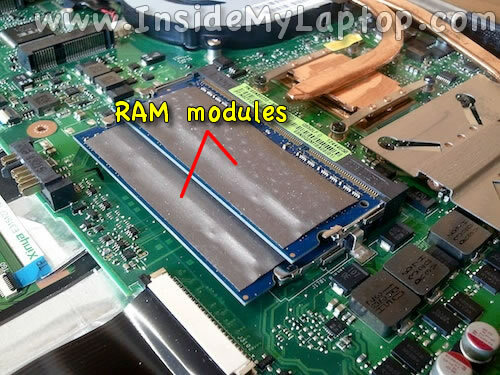 Both RAM modules also accessible when the bottom cover removed. This motherboard has a mSATA slot available. 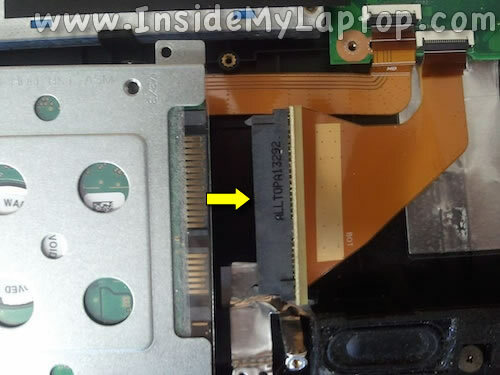 It’s located on the right side from the optical drive connector. Apparently, only a mSATA Mini (Half Size) SSD can be used. I don’t think a full size mSATA SSD can be installed on this board. Please correct if I’m wrong.